Our history • COSMOB S.p.A. The institutions together with the companies of the Furniture District of Pesaro are founding a company to support the development of the Wood-Furniture sector. The Quality Test Laboratory has been opened with € 2 million of investment. Establishment of the COSMOB Advanced Training School for the qualification of new professional figures for the Wood-Furniture sector. International opening, with training, research and development projects around the world: Mexico, Brazil, Russia and China. Opening of the COSMOB Research Center for Innovation and Development of National and International Research Projects. Expansion and enhancement of the Quality Test Laboratory with new technologies and machineries and over 400 new accredited laboratory tests. First Laboratory in Italy to equip the large chamber (22 m³) for detecting harmful emissions such as: Formaldehyde and Organic Volatile Compounds.  Inauguration of a new COSMOB operating venue at the University of Calabria. Inauguration of new FabLab Pesaro laboratory, for Digital Manufacturing and Prototyping. Creating a trademark for determination the controlled origin of Wood-Furniture products and for the competitiveness of Italian furniture companies around the world.